Okular is a free cross platform document reader. Developed by the Okular Team, it is a universal reader that can run on multiple platforms including Windows, Mac, Linux and BSD among others. Unlike other so-called document readers that support only PDF and a few other formats, Okular has wide ranging format support. 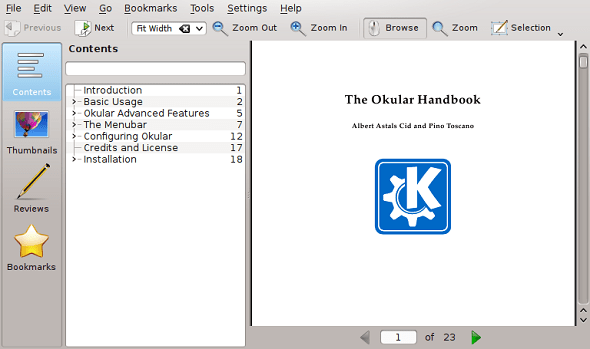 Okular supports formats including PDF, Epub, fax and Plucker. The application can also read comic books, open document (ODT) and XPS. Okular can also read popular image formats like .jpg, png and tiff as well as PostScript and many others. The reader actually supports a whole lot more, probably even some that you don’t often use. Okular has the same versatile functions as KPDF and includes support for all those formats mentioned above plus ePub, CHM, DjVu and more. Because the application is cross platform, you’ll have no trouble with regards to compatibility, and you can use Okular to annotate and review your documents. This is a very nice and convenient feature so you don’t have to open up a large application for these tasks. Every annotation you make in Okular is saved automatically and it won’t implement any changes just by opening a document. The application also provides you with two ways to annotate, one with yellow highlights or black underline, or by using graphics such as pop up notes, ellipse, stamp and more. 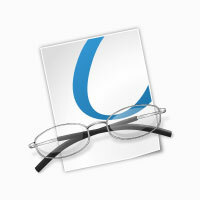 In other words, Okular is a very good, compact and versatile document reader. With it you don’t have to worry about not being able to open that document your colleague sent you.